It's no news that autumn/winter is my favorite time of year. 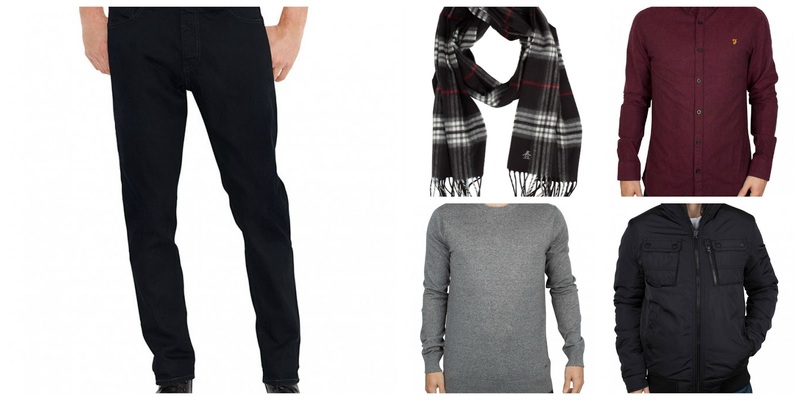 This time of year is when you start to look at the things you need to add to your wardrobe for the colder months ahead. I like looking up women and men's fashion to see new things that have been released. A good pair of high quality men's denim jeans are ideal for the winter months for everyday wear. My husband only wears black jeans as other colors don't to suit him as well. Perfect for colder months and can look smart as well as for casual wear. Burgundy is my favorite color for this time of year so I love it when Stuart also wears a burgundy shirt. Stuart has a very similar jumper and its ideal for layering when it gets a little colder. A good quality coat is important for the colder months. We love to go out for walks so it's a must have especially as we don't drive. There are a great selection of of mens designer brands at the moment that are filled with great high quality items perfect for this time of year. Interesting post! You are spot on when it comes to Jeans, I feel they are always worth spending that bit extra on to get the best quality ones you can! Definitely time to think about autumn approaching. Good tips. Fab post. Loving the items here so much.